This summer Gossamer Gear came out with a couple new day packs along with redesigning most of their current larger capacity packs. I was really interested in trying out the Rukus which is a pack known to swallow gear. I figured it may be a good contender for some winter hiking in the Whites. However, I also received the Gossamer Gear Type 2 Utility Backpack and to my surprise, I keep grabbing this pack when I’m heading out for some type 2 fun! I’ve been using this pack for the last few months on day hikes in New Hampshire’s White Mountains. I really like the storage options and it works well for me. You can use a bladder as it has two integrated hydration hose ports so you can run your hose right by the shoulder straps. The side pockets are also the perfect size for water bottles, but I do wish they were a little easier to access with the pack on. If they were raised slightly, I’d be able to reach for my water bottle without putting too much work into it. I have only used this pack for day hikes, but I packed it with two days of food and equipment for an overnight trip (tent, sleeping bag, ground sheet, headlamp, additional clothing, etc) and it fit! I could probably squeeze in another day’s worth of food if I packed it well. The pack is really comfortable and light. 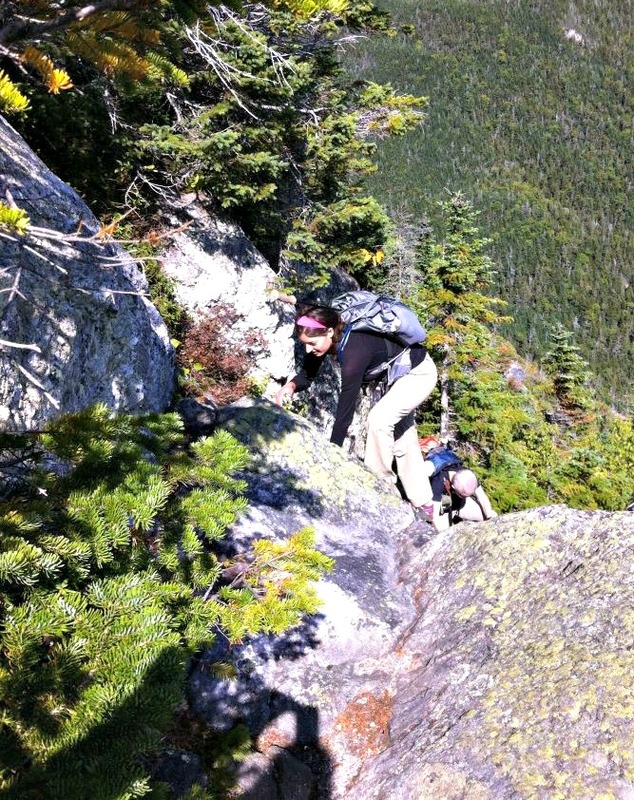 I am able to squeeze through tight spaces going up Mount Jefferson’s Six Husband’s Trail without removing my pack. The Type 2 was also very good to me on a solo extended Presidential Traverse. I really like the deep pockets on the hip belt. I keep small snacks and gels in one pocket and my camera in the other. It helps me to keep moving! Also, it has enough adjustments that I can make it snug and really reduce the pack shifting as I hike. On a trail maintenance trip, I didn’t worry about puncturing the 100 Denier Robic ripstop nylon the main body is made of. This Robic fabric is actually supposed to shed water. 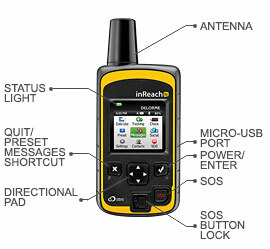 I was pretty excited to test this out on a recent trip up Mount Cannon. With steady rain for the entire day, this was a very good test. At the end of the hike I felt the inside of my pack and everything was dry, even my map inside the zippered top lid! 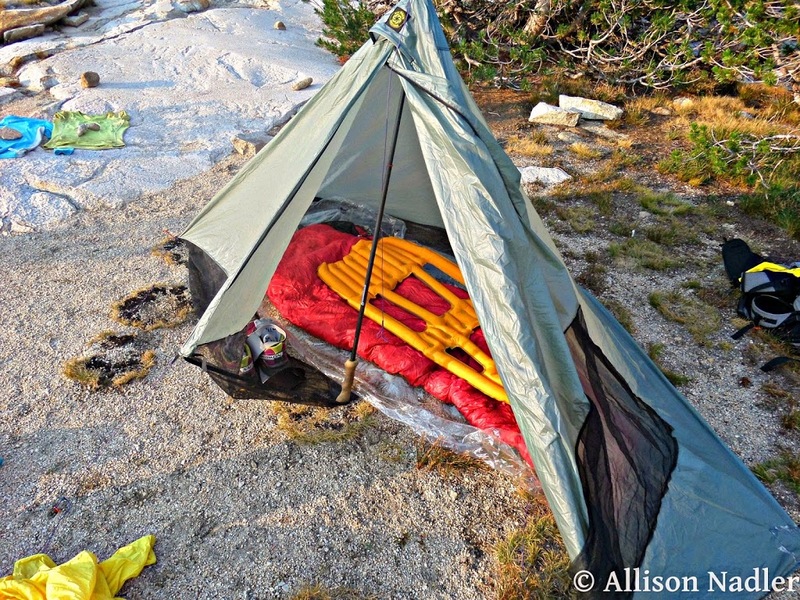 TheGossamer Gear Type 2 is a really versatile pack. I love that I can take take it on long day hikes, stuff it for an overnight trip, or even do a little bushwhacking without worry. 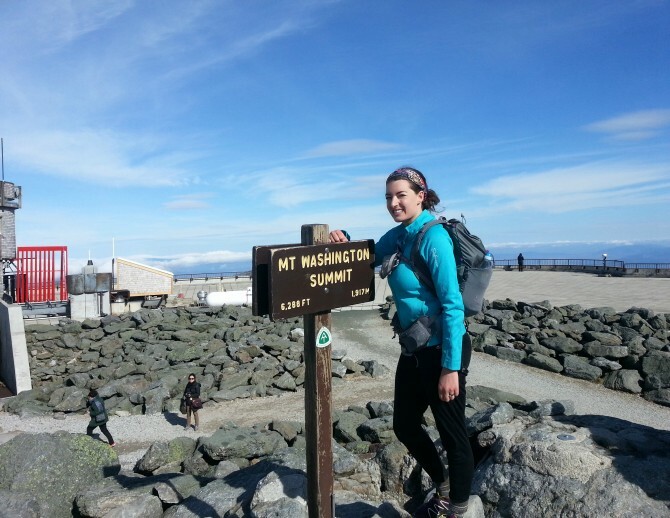 Disclosure: Allison is a former Gossamer Gear Trail Ambassador and received a complimentary Type 2 backpack.